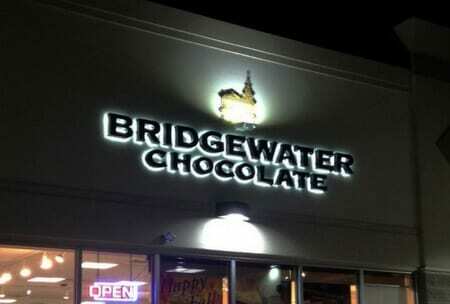 Your sign is the first impression a customer will have of your business. 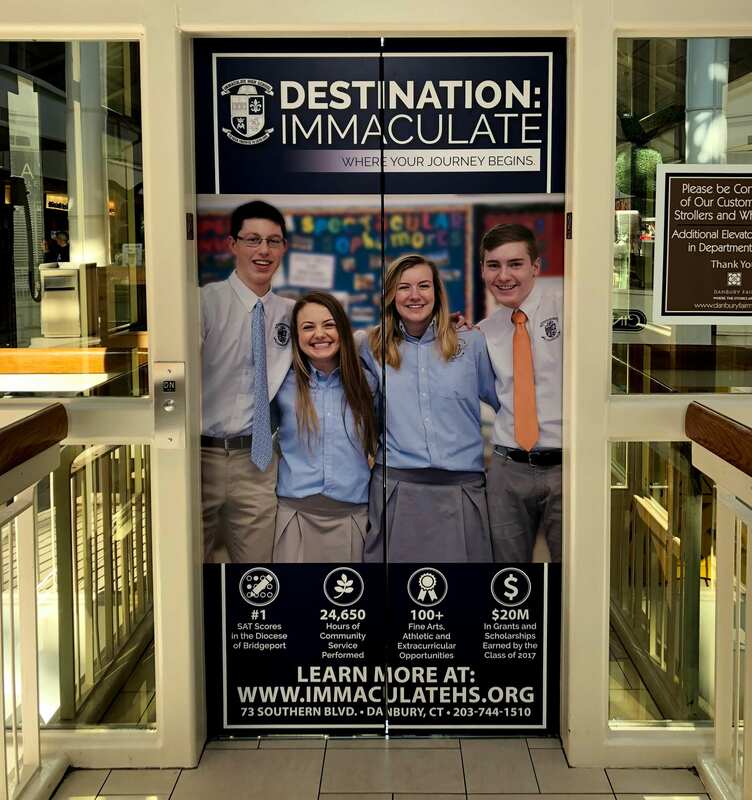 Signarama of Danbury can help you achieve the absolute best outdoor signage out there. At Signarama, we prioritize taking time to meet our clients and give them many options to find the one that suits them the best. 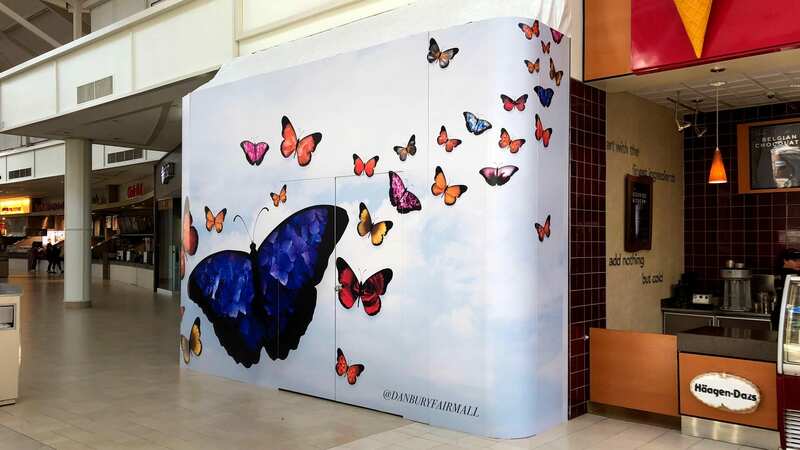 Signarama will be there for you from the beginning design process all the way to installation. 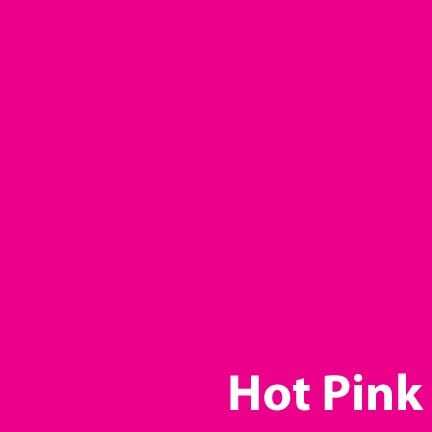 Ready to start designing your vehicle wraps? Give us a call today, at 203-792-4091 for a free quote. 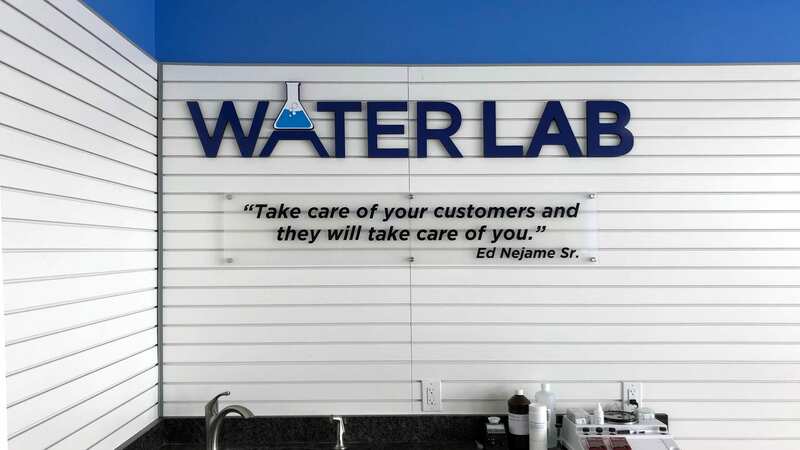 When it comes to your Danbury business, it is essential to get the best signage as soon as you can. Signarama will guarantee you swift delivery and installation on your order. We can also provide rush orders if you need. 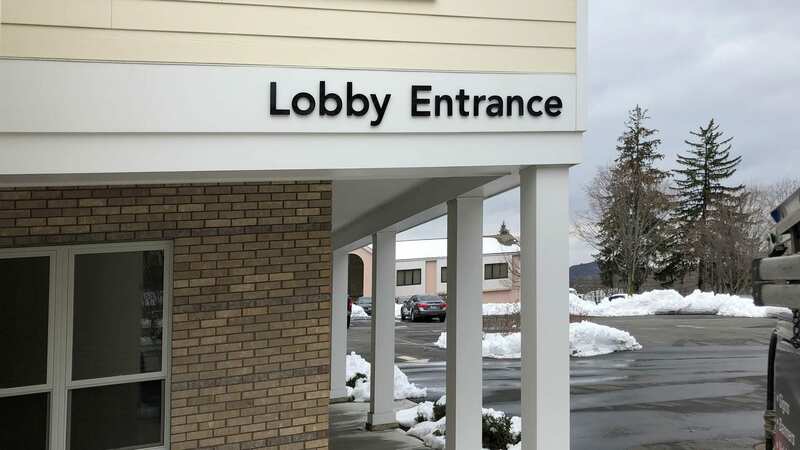 Signarama of Danbury produces signs that are built to last and are durable. 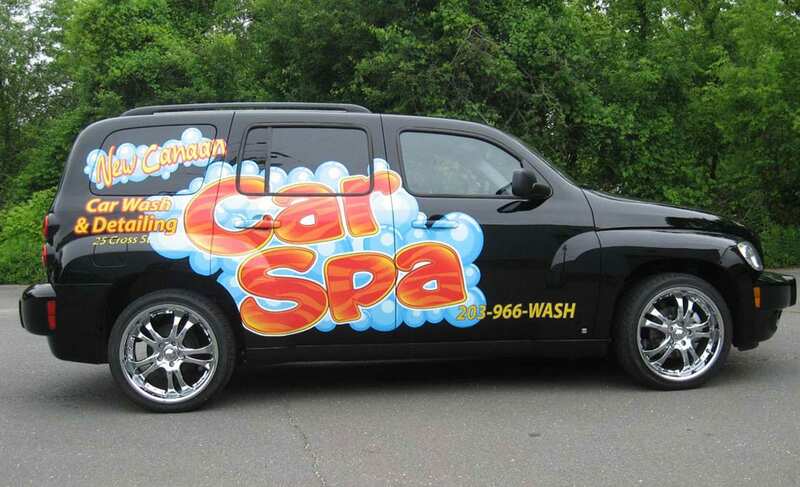 When it comes to your vehicle wrap, you can rest assured that is will be crafted with durability and longevity in mind. 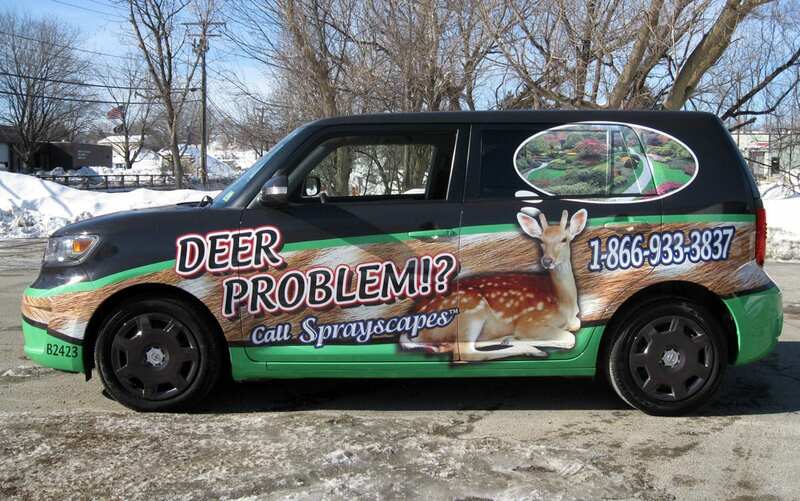 We make sure to craft a vehicle wrap we are confident will last. Our team of customer service representatives are dedicated to making sure your experience with Signarama of Danbury is pleasant. Through the whole process, our service reps strive for quality, compassionate service for our clients. 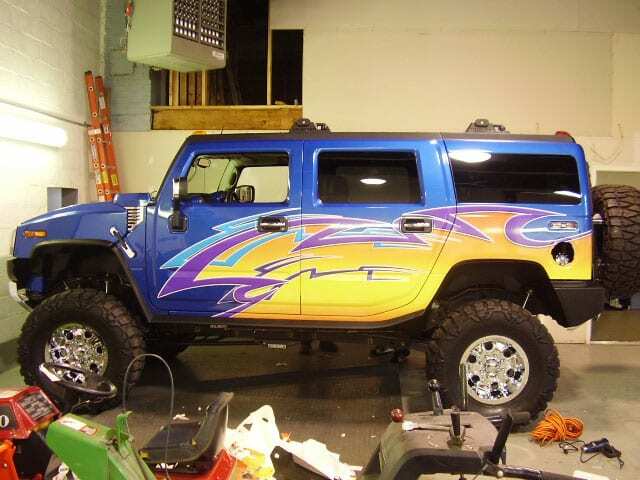 We offer many different types of vehicle wraps. 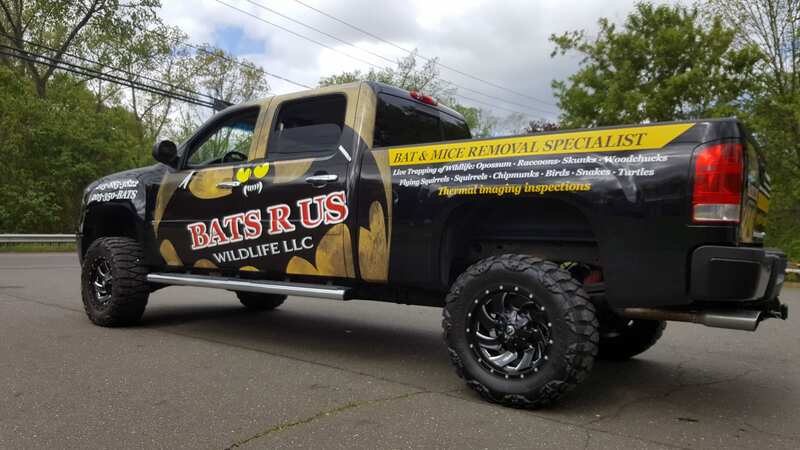 From color changing wraps, reflective and vinyl wraps, to partial and full wraps, Signarama is your chosen company for all your vehicle wrap needs. Your vehicle will stand out above all the rest and be a real head turner. 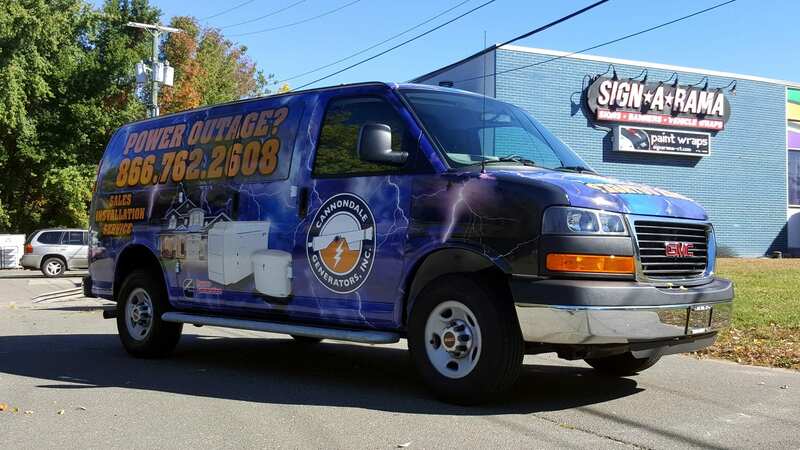 Signarama is proud to be the largest provider of vehicle wraps in the greater Danbury area with the largest selection of materials and custom options for your business. Wrapping your entire vehicle will have a huge impact! A complete and total wrap means the entirety of your vehicle is covered, from back bumper to front bumper. The vehicle will look like it is completely painted . 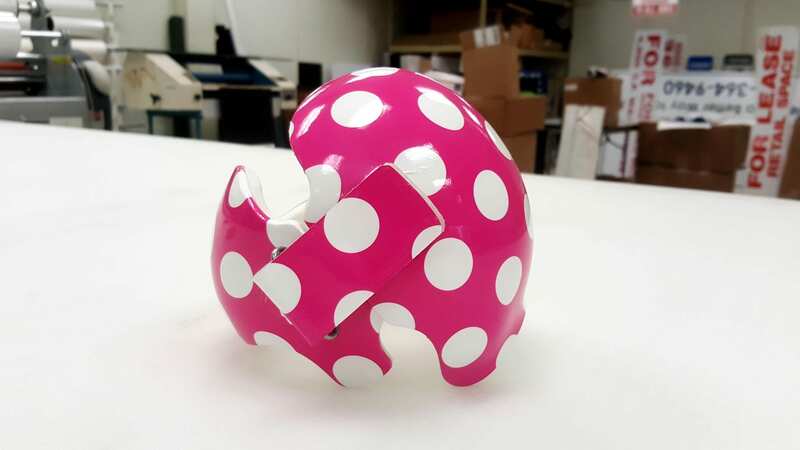 The vinyl will not warp or become distorted because it contours the whole surface. These incredible wraps will definitely turn heads. If you decide to install a full wrap on your vehicle, you are certain to make your vehicle very eye catching and visible. We will be happy to work alongside you to make a customized wrap that will suit your businesses needs and have a huge impact! We offer the option of only wrapping part of your vehicle. This is a subtle approach compared to the full vehicle wrap. You can still communicate the same valuable information about your business with only a portion of the vehicle being wrapped. You can add effects that transition the signage from one section to another or decide to wrap only a small portion of the vehicle. 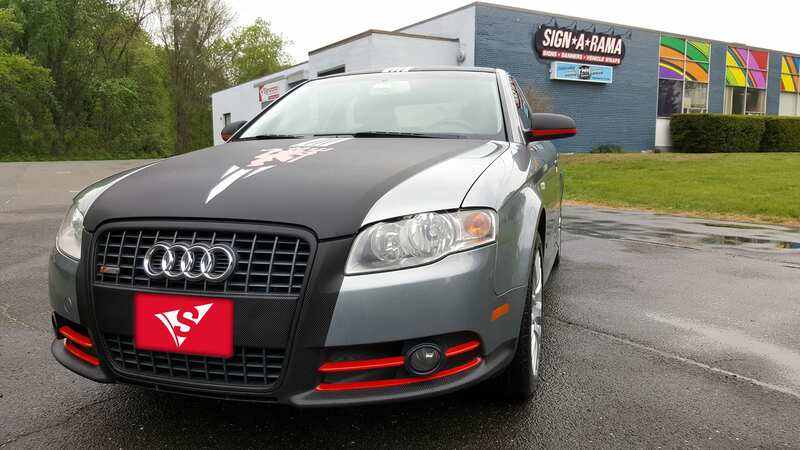 Partial wraps allow you to add your branding or logo without covering your entire car or truck. 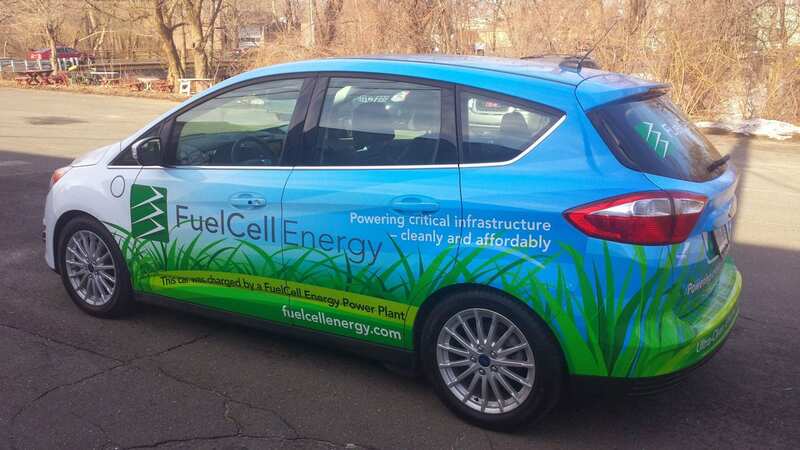 With a partial wrap you can simply add a graphic or phone number as well. 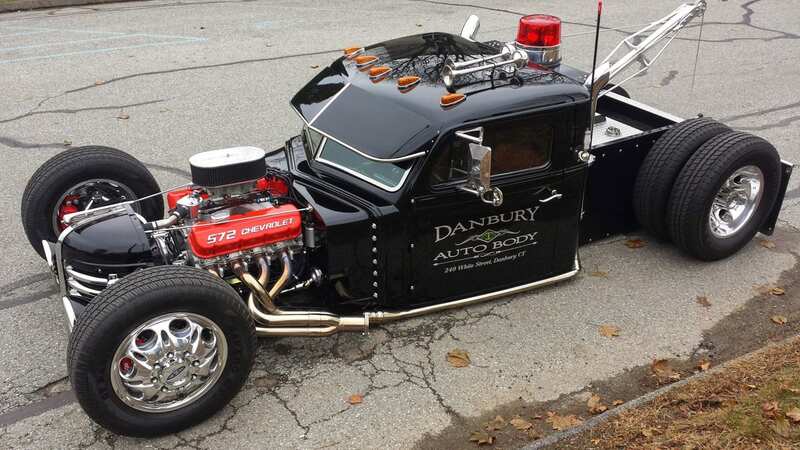 At Signarama of Danbury, we offer a wide selection of color changing wraps. These special wraps help you customize your vehicle to your own unique style. 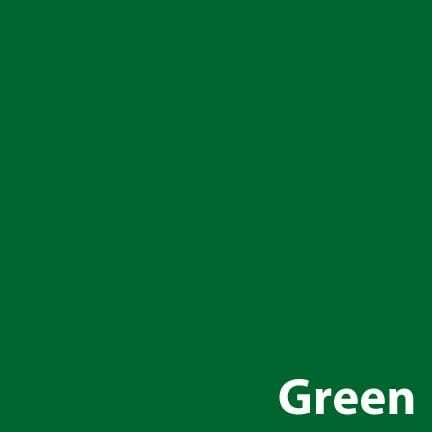 We offer hundreds of different color options. The color changing wraps we offer are much better than repainting your car and will ultimately highlight your style. 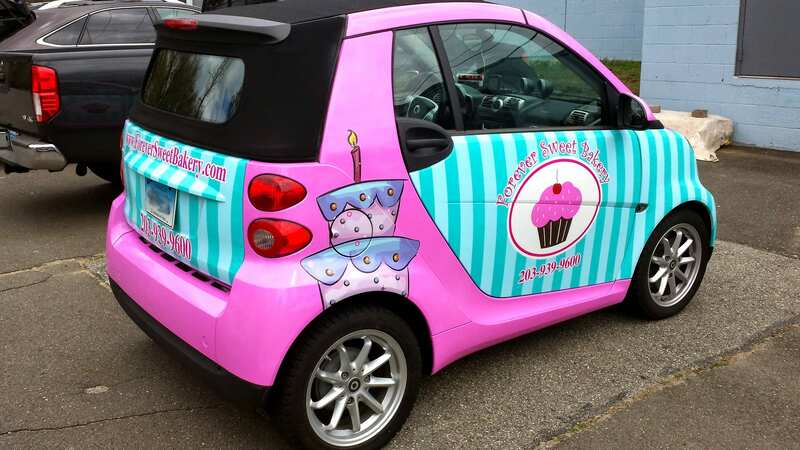 You can wrap a portion of your vehicle only- doors, windows, or bumpers, or you can apply the color changing wrap to the entire vehicle for a big statement! Motorcycle owners typically love to keep their bike looking its best. After years of riding and exposure to the elements, it is to be expected that the paint and graphics will start to wear. 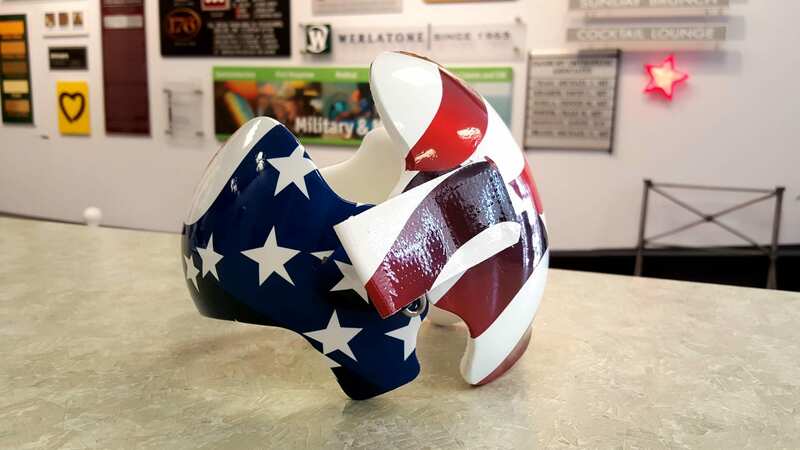 A wonderful solution to this problem is a custom vinyl motorcycle wrap from Signarama of Danbury! We offer partial and full wraps for motorcycles that will restore the look of the bike to its original condition or better! 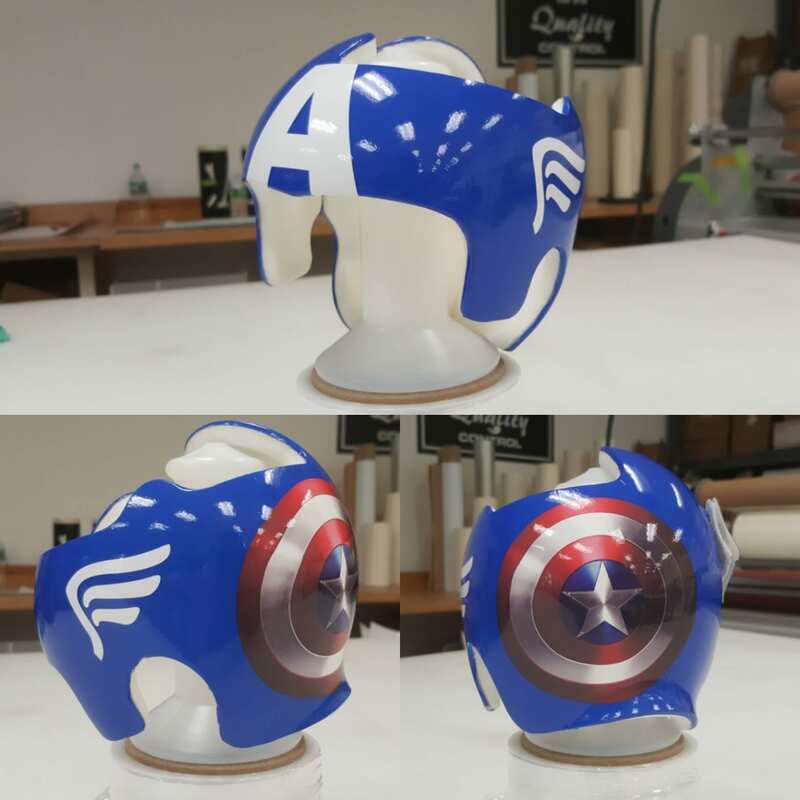 We can make wraps as intricate and small as needed for motorcycles, and high quality resolution printing will make your bike look brand new! 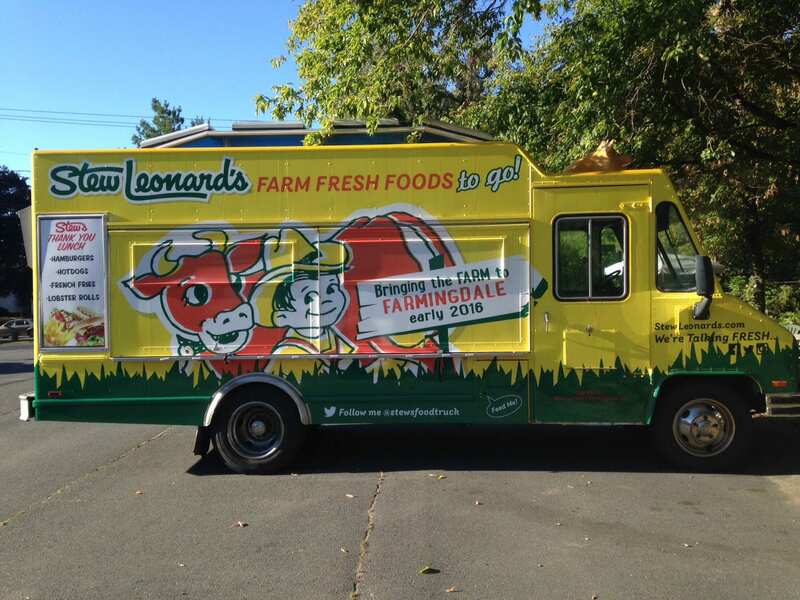 Trucks need custom vinyl lettering and custom graphics because they are moving billboards for the company they are driving for. With large panels on the sides and thousands of hours on the road each year, trucks should take advantage of the blank canvas they have and promote their company wherever they go. 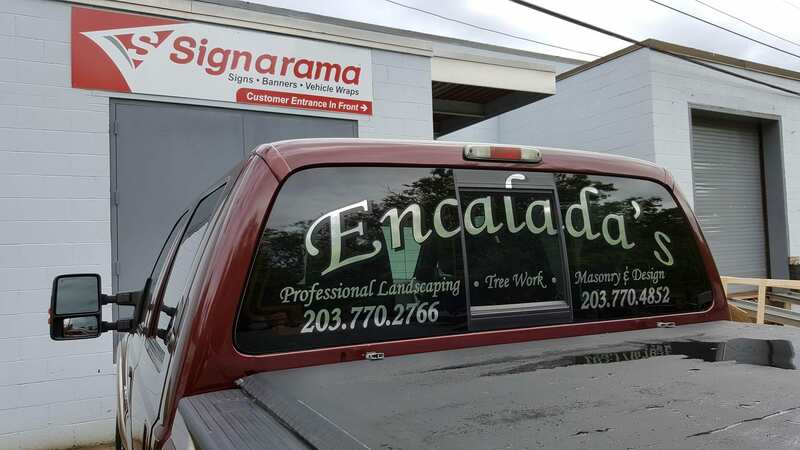 At Signarama of Danbury, we understand that when applying custom vinyl graphics to your truck, it is very important to keep an eye out for small details on the vehicle that can get in the way of the graphics. We can wrap your pickup truck, commercial truck, and even your 18-wheeler! At Signarama of Danbury, our clients are our number one priority. 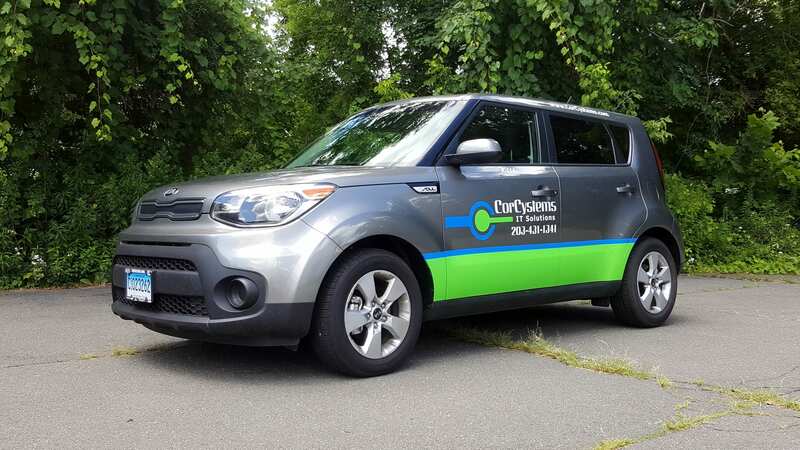 Our team of master craftsman and professional designers are dedicated to providing beautiful, vehicle wraps that best represent your business’s style without breaking the bank. 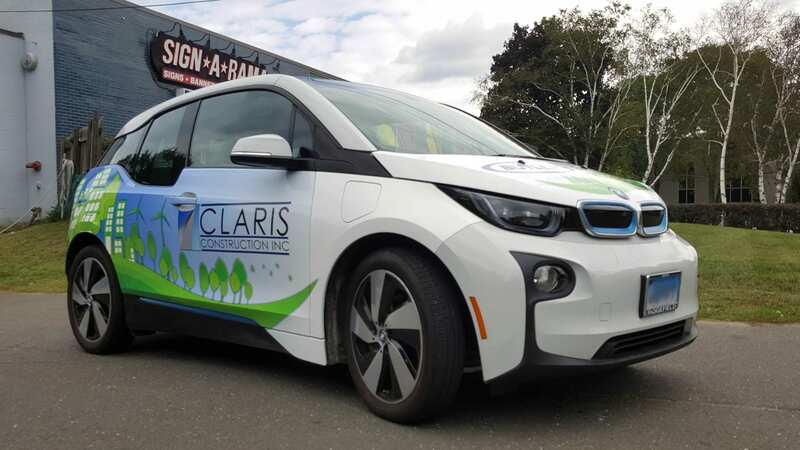 We’re proud to be Western Connecticut’s trusted vehicle wrap company, and we are excited to help your business look its best. Are you ready to make a statement? Give us a call at 203-792-4091 for your custom quote.